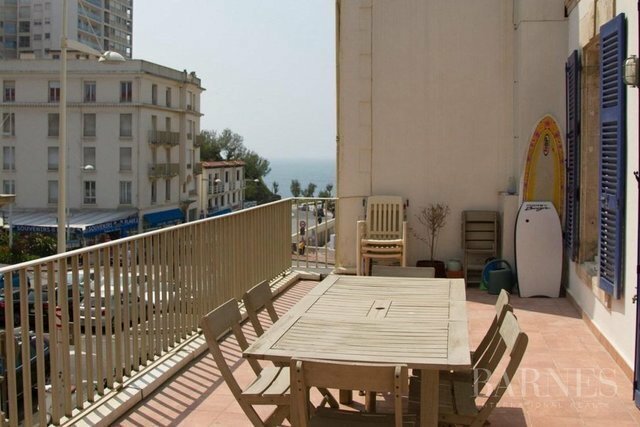 Biarritz, very close to the beach, 143 beautiful apartment with a large and south-oriented terrace. Vast living room with fireplace. Parquet. The apartment is very bright and has 3 bedrooms and a sea view from the terrace.